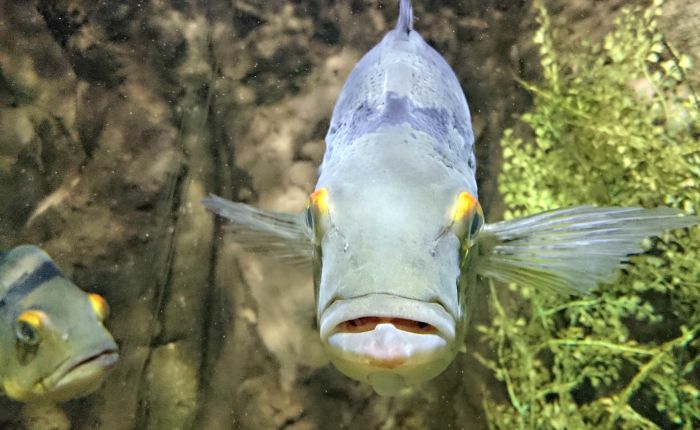 The Lakes Aquarium is a great all weather attraction which lets children get a glimpse of life beneath the surface of the lakes! 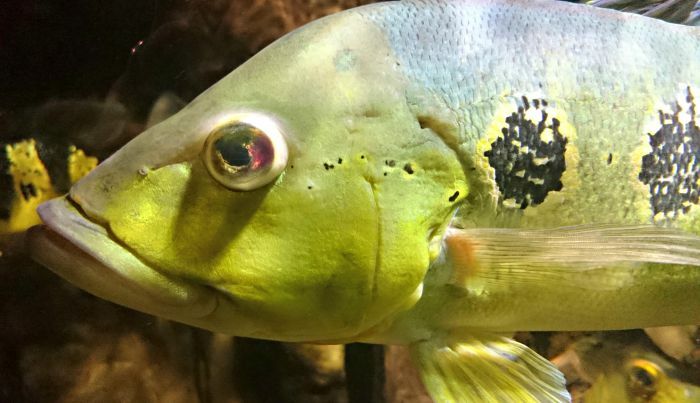 Situated on the south side of Lake Windermere, the Aquarium teaches children about the marine life of the lakes, and has a great collection of fish, aquatic life and other animals for them to meet. There are various sections including the Americas, The Tropical Rainforest (including frogs, lizards and snakes! ), Africa and a Seashore Discovery Zone with rockpools and crabs! My boys aged 5 and 2 really enjoyed our afternoon out at the Lakes Aquarium. As well as marine life, there are also loads of other animals including otters, a leafcutter ant colony and lots of reptiles! There are plenty of animal talks, feeding sessions and meet the creatures sessions throughout the day, including the opportunity to hold a snake, use a magnifying glass to look in a rock pool and daily craft activities. 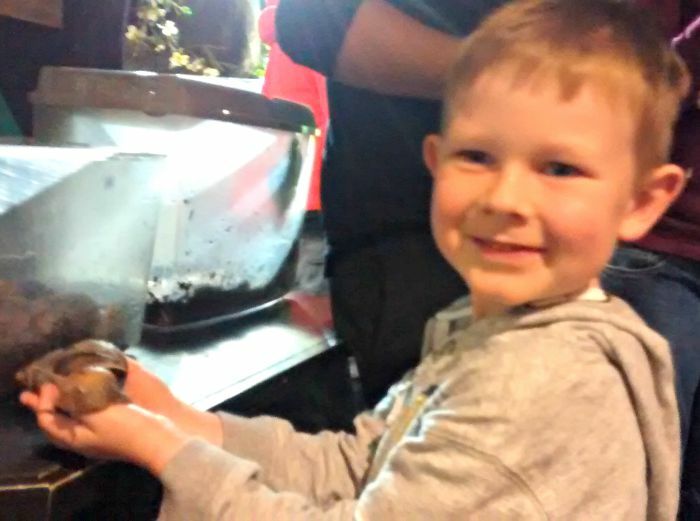 One of my 5 year old, Matthew’s, highlights was when he held a giant snail and millipede! The leafcutter ant colony was fascinating. The ants aren’t behind glass so you can see these amazing animals close up and watch how they collect the leaves and transport them so they can be used to build a nest. I could have watched them for hours! Another highlight was watching the otters. These delightful creatures were real characters as we watched them swimming in the water, resting and interacting with each other. There was an Otter Talk and Feeding session when we were there. My 2 year old, Daniel, really liked the Lake Tunnel. Here you can see ducks diving in the water and walk through a tunnel and see the pike, carp and other fish swimming around. He was fascinated by this. 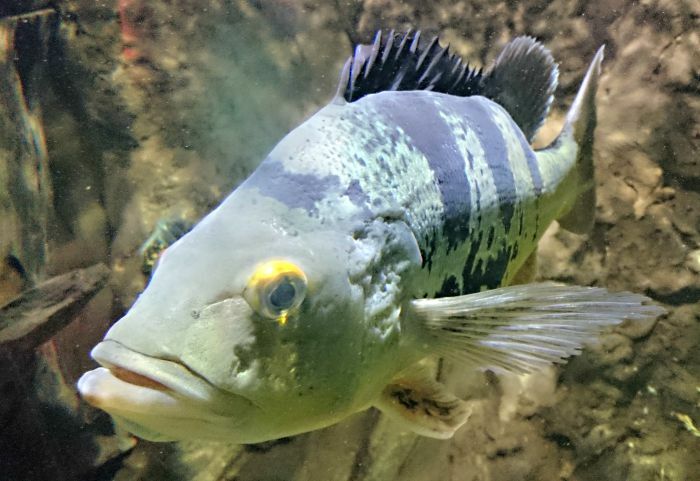 There is also a special display about Morecambe Bay – this massive tank has cod, rays and sharks which you can touch! Tickets are valid all day so you can pop out for a drink and go back to the Aquarium later. There are no toilets in the Aquarium – we made a mad dash outside across to the train platform when my 5 year old needed to go! There is pay and display car park outside so remember to bring change. I would say the Aquarium is suitable for buggies once you have lifted it up the stairs at the beginning. If the Aquarium is busy, you will probably be best using your baby carrier, but if it is quiet you should be ok with the buggy. There is a café and ice cream shop outside the Aquarium if you want to get some refreshments. Thank you to the Lakes Aquarium for providing us with tickets.